Two landmark decisions were made by The United States Supreme Court, establishing this interpretation of the Second Amendment. In the first case, District of Columbia v. Heller (2008), the Court ruled that the Second Amendment protects an individual’s right to possess a firearm, unconnected to service in a militia and to use that arm for traditionally lawful purposes, such as self-defense within the home. In the second case, McDonald v. Chicago (2010), the Court ruled that the Second Amendment limits state and local governments to the same extent that it limits the federal government. -When a person desires to purchase a handgun from a federally- licensed dealer, the person needs to present a valid permit to purchase a handgun or valid North Carolina issued concealed carry permit. Who Is Not Eligible for a Permit? (1) One who is under an indictment or information for or has been convicted in any state, or in any court of the United States, of a felony (other than an offense pertaining to antitrust violations, unfair trade practices, or restraints of trade). However, a person who has been convicted of a felony in a court of any state or in a court of the United States and (i) who is later pardoned, or (ii) whose firearms rights have been restored pursuant to G.S. 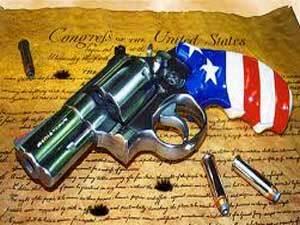 14-415.4, may obtain a permit, if the purchase or receipt of a pistol permitted in this Article does not violate a condition of the pardon or restoration of firearms rights. (2) One who is a fugitive from justice. (3) One who is an unlawful user of or addicted to marijuana or any depressant, stimulant, or narcotic drug (as defined in 21 U.S.C. § 802). (4) One who has been adjudicated mentally incompetent or has been committed to any mental institution. (5) One who is an alien illegally or unlawfully in the United States. (6) One who has been discharged from the Armed Forces of the United States under dishonorable conditions. (7) One who, having been a citizen of the United States, has renounced his or her citizenship. c. Includes a finding that the person represents a credible threat to the physical safety of the intimate partner or child; or by its terms explicitly prohibits the use, attempted use, or threatened use of physical force against the intimate partner or child that would reasonably be expected to cause bodily injury. A visit to an auto repair shop can be intimidating. Especially when you need work done on your car and you aren’t sure what exactly needs to be done or how much it is going to cost. In order to avoid an unpleasant experience, it’s always a good idea to ask friends and family to refer you to a mechanic they have used and trust. Check to see that the mechanic is ASE (National Institute for Automotive Excellence) certified and that a sign is posted explaining your rights under the North Carolina law. 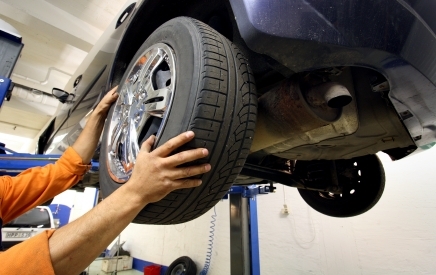 Familiarizing yourself with the North Carolina Motor Vehicle Repair Act in advance may also help to avoid problems with a shop after work has been done on your car. • The repair shop should give you a written estimate and ask you to sign an authorization for the repair. If the car is dropped off by someone else or at a time when the shop is closed, the estimate and authorization can be agreed to orally. • When you authorize the repair, you have the right to request that you get back or examine any of your car’s old parts. • The repair shop must notify you of any storage charges you’ll owe if you don’t pick up the car once the repair is completed. • The repair shop may not exceed the cost you authorized by more than 10 percent without first getting your permission. • If the problem is unknown, the repair shop must tell you how much it will cost to diagnose the problem. Once they’ve diagnosed the problem, the shop must contact you with an estimate and to get authorization to do the work. • The repair shop must provide you with a detailed invoice that itemizes charges for labor and parts and identifies all parts as new, used, or reconditioned. • Keep in mind that repair shops have flexibility in marking up the charge for parts and that you must pay for authorized repairs even if they do not solve the problem. • The Motor Vehicle Repair Act does not apply if your insurance company is paying for the repairs, or to agricultural equipment and vehicles weighing more than 26,000 pounds. Knowing your rights under the Motor Vehicle Repair Act may help avoid a headache during or after a future trip to the mechanic. If you feel as if your rights under this act have been violated by a mechanic or auto repair shop, or if you have legal concerns about any area of law in which we practice, contact us at (910) 793-9000 (910) 793-9000 for a confidential legal consultation.